Yes - a fine establishment now, after major makeover. Large beer garden, with the concentration on food. However, avoid the rednecks in the small front bar. Open again - after a £300k+ refurbishment. Lovely pub right next to the church. A nice bar area and plenty more room at the back, also a big garden. 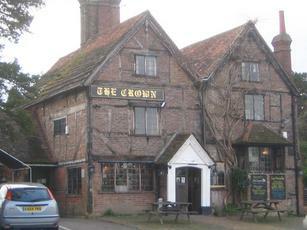 They had Doombar & Tim Taylors Landlord when I was there, both in good condition. Very friendly & efficient staff, had quite a chat with the landlady about how much work is needed to keep the Landlord well, Doombar is much easier apparently. Lunchtime menu is quite limited but fine, sarnies are pretty large. Evening menu looks much more extensive. I liked this pub a lot. Visted this pub the other day for a pint and some lunch. After reading the handbaggings on here, I was unsure of what to expect! There were 3 real ales on, Ringwood Best, Doombar and Timothy Taylor Landlord. Had the Best and Doombar and they were fine. There was a good selection of reasonably priced food on offer. Our meal was good. I would certainly call in again, if in the area. Oh, they had raised a pretty impressive amount for H4H too. Pleasantly surprised on a return visit. The chef has been replaced, and our our fish and chips were the best we have had in years. Freshly prepared. We believe the new owner will revamp the interior. We plan to return. A nice country pub.